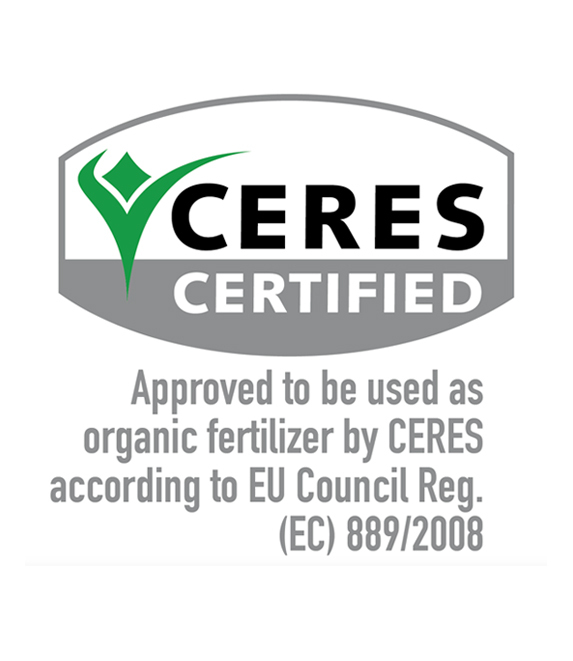 Breaking NEWS: 100% of our BIOfertilizers are certified ORGANIC with CERES – Certification !!! 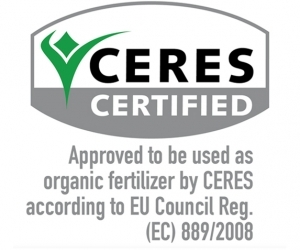 CERES confirms that these BIO-fertilizers can be used in organic farming. 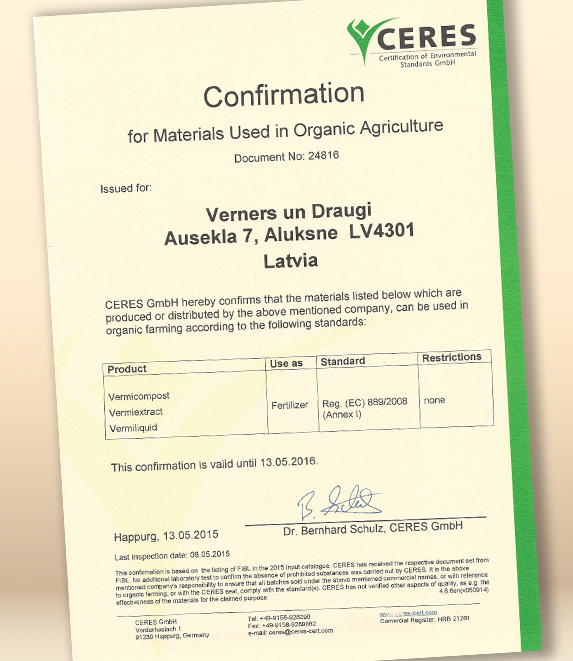 Breaking NEWS: 100% of our BIOfertilizers are certified with CERES – Certification!!! 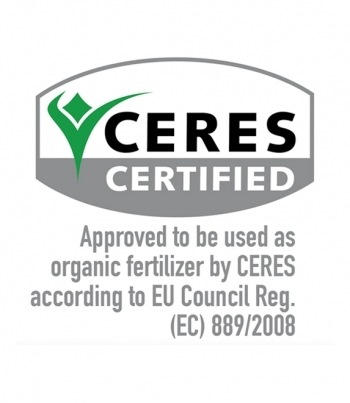 Approved by CERES for use in organic production according to EU Council Reg. (EC) 889/2008. Achieving this standard of quality marks the end of the long but worthwhile process for us, which initiated the gradual certification of all BIOfertilzer in 2008. Since then all our team, have dedicated an exceptional level of commitment to finally procure this certification. Today, we can declare that all three of our BIOfertilizers – Vermicompost, Vermiextract and Vermiliquid – do not have any artificial fertilizers, chemical pesticides, herbicides, plant growth regulators or genetically modified organisms. Instead we have produce organic fertilizer from organic farm manure, processed with the help of earthworms, we use technology that keeps all the organic values and the proper treatment of water, among many other tactics, to fulfill our BIOfertilizer manufacture and BIO greenhouses duties.